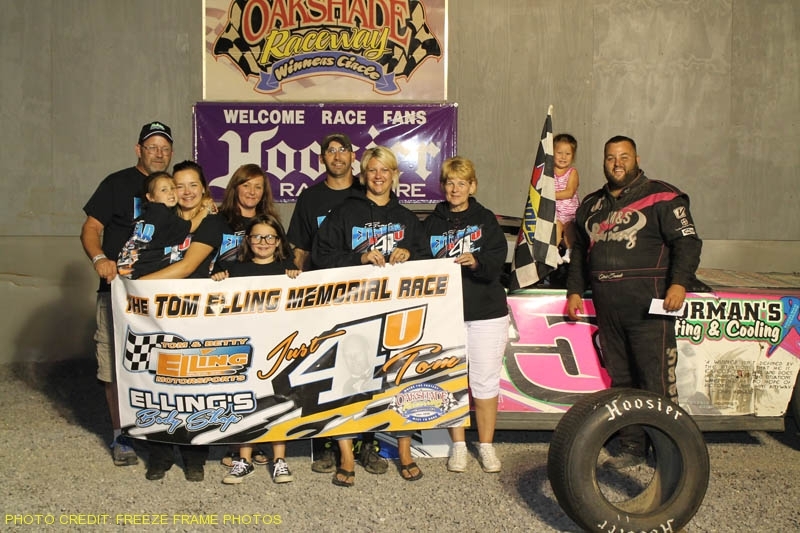 A beautiful sunny evening greeted race fans at Oakshade Raceway for a jam-packed night of racing action in which Devin Shiels earned his third UMP Late Model feature win of the year and is now poised to be a championship contender. 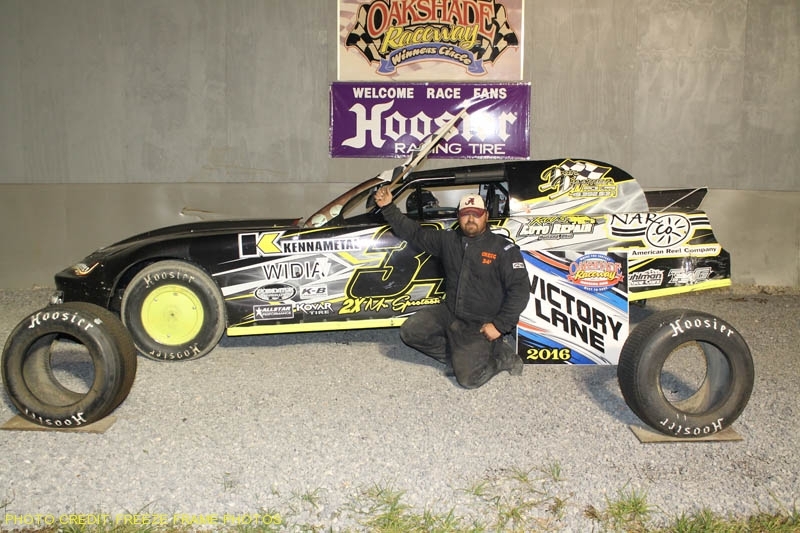 After an early wash out the week before, a few Bomber and Sport Compact heat events were made up along with the UMP Sportsman feature event at the beginning of the night. Brian Fisher and Mike Jessen made the wait well worth it. Fisher held the early lead after starting on the outside of the front row. A big crash on a lap eight restart involving Dave “Gumby” Golembiewski Jr., Tim Fisher, Roger Weirich and Shaun Sharp tore up some cars pretty good. Jessen restarted in fourth, but got to the inside of Fisher to challenge for the lead. 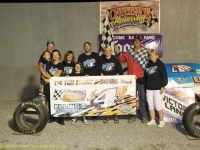 The Berkey, Ohio, driver took command on lap 14 of the 20-lap race, but Fisher battled back to regain the lead two laps later. 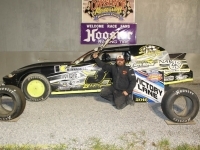 Jessen regrouped and made a final charge at the end of the race and came out victorious for the third time this season. 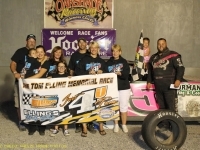 Fisher was a close second with George Lindsey, Rusty Smith and Bob Krumm the rest of the top five finishers. 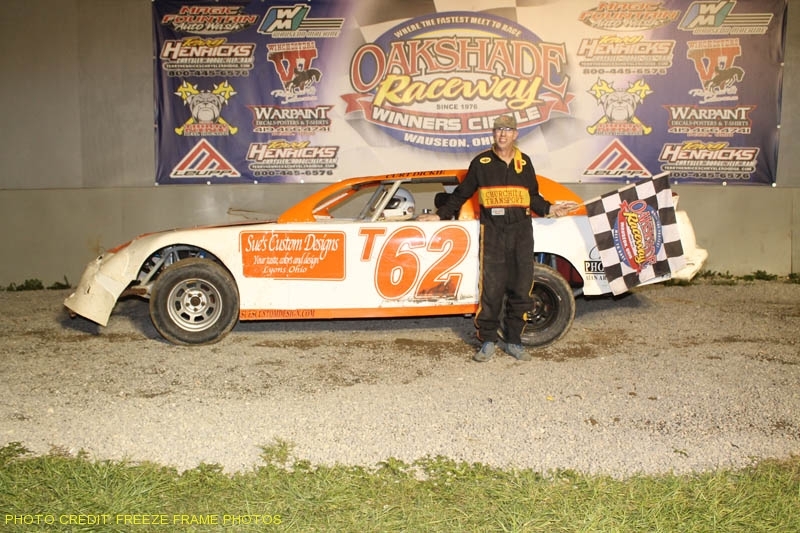 Oakshade UMP Late Model point leader Brian Ruhlman jumped out to a big lead at the start of the 25-lap UMP Late Model feature event with Steve Kester trailing in second. The first caution flag flew on lap 14 after Dan Gehring’s brake rotor briefly caught fire. That tightened up the field behind Ruhlman with Britton, Michigan’s Devin Shiels restarting second. 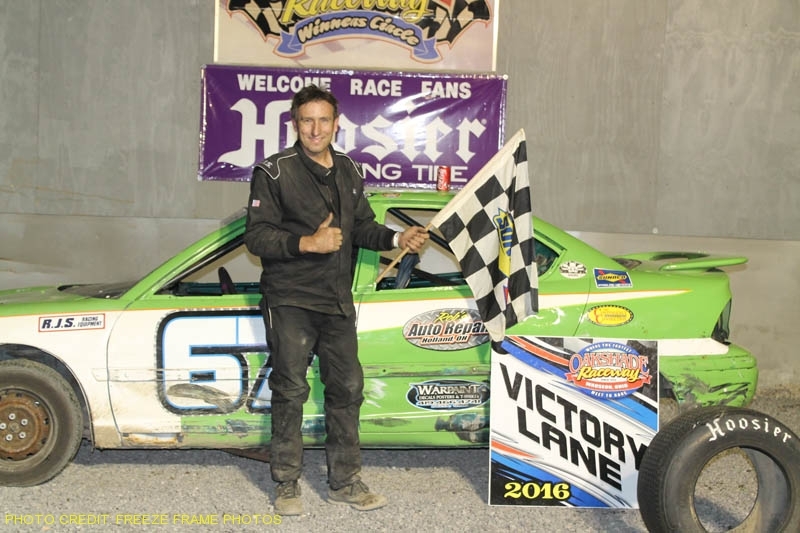 Shiels wasted no time and took the lead from Ruhlman as the green flag flew once again. Multiple cautions in the final 10 laps kept the field tight, but Shiels was able to hang on to pick up the checkered flag. His win closes up the points race with Shiels just four points behind Ruhlman in the standings. Kester was able to get by Ruhlman to finish the race in second. 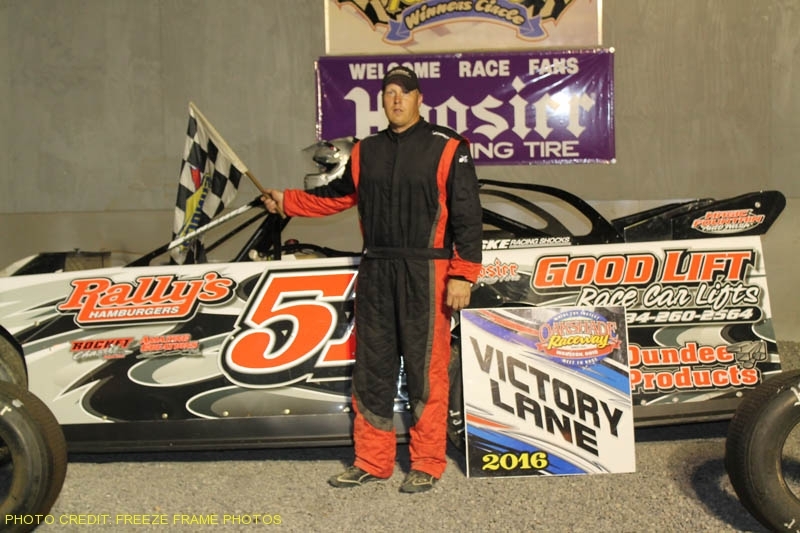 Brad Wade was fourth with Brad Eitniear fifth. 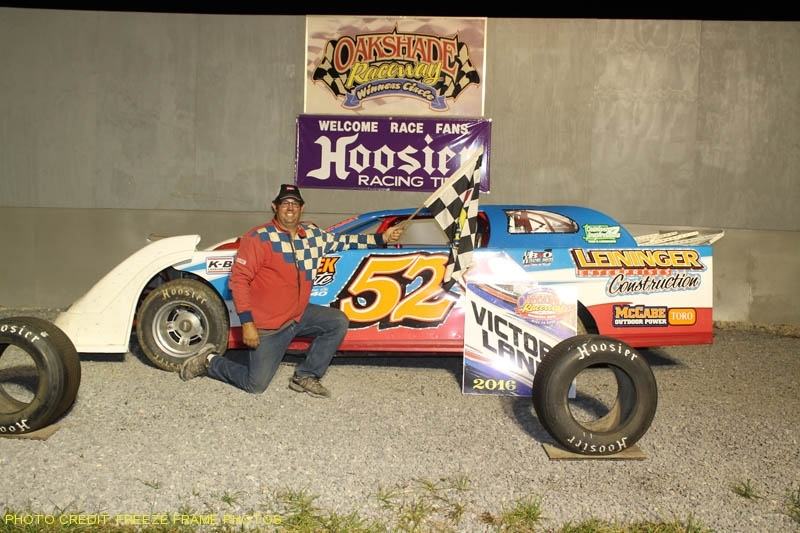 The UMP Sportsman driver took to the track for their second feature of the night which featured some three-wide battling for the early lead between Mike Jessen, George Lindsey and Joe Smith. Jessen was able to take the lead and open some distance over the rest of the field. Lindsey and Bob Gregory got together while battling for third which cause Gregory to spin bringing out the caution flag on lap 14. 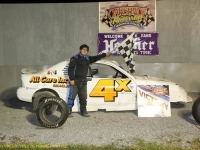 Jessen went on to make it a clean sweep, winning his second feature of the evening. Joe Smith finished a strong second while Brice Stuart picked up a few positions late using the high side to finish third. Lindsey slipped back to end up fourth with Rusty Smith fifth. 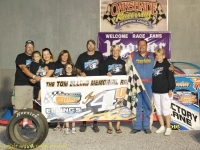 Jeff Foks Jr. and Swanton, Ohio’s Gregg DeTray continued to be the class of the Bomber division. The two drivers battled side by side for the lead at the start of the Bomber A Main with DeTray getting coming out on top by lap two. DeTray and Foks pulled away from the rest of the field. 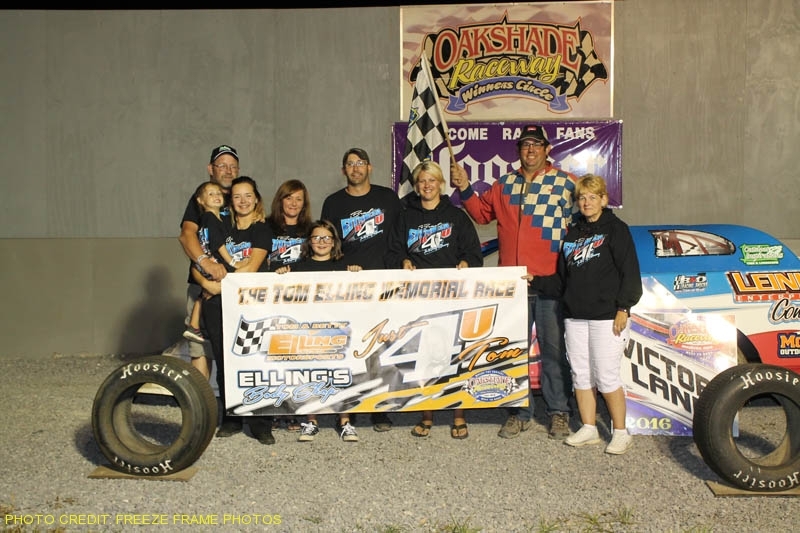 Several caution periods slowed the field few times, but DeTray was able to pick up his fourth A Main win of the year and close to within 25 points of Foks in the point standings. Foks finished second with Tim Hancock, Tim Murphy and Craig Dippman rounding out the top five. 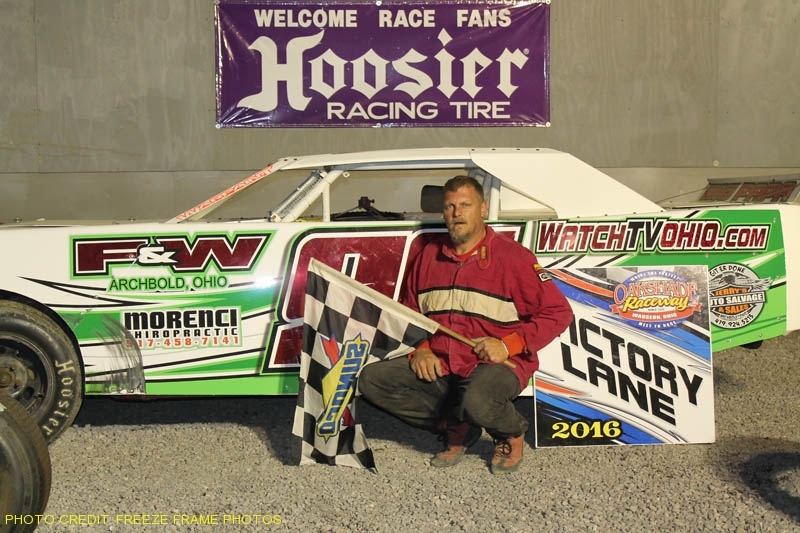 Another Foks, Jeff Foks Sr. out of Holland Ohio, earned his second Sport Compact A Main feature win of the year. Foks worked his way up to second after an early caution for Amanda Martz, Regan Ford and Chris Leonard. Foks got to the inside of Brogan Rehklau to take the lead and eventual win. Rehklau settled for second with Sport Compact point leader Richard Riffe third. Clinton Urban finished fourth with Cory Gumm fifth. Dylan Burt spun early while lout in front of the Bomber B Main turning the lead battle over to Donovan Paskan and Jarrett Rendel. In the end, Paskan, out of Clayton, Michigan, picked up the victory over Ron Bloomfield, Garry Domoe and Terry Rump. Rendel ended up fifth. Aaron Barrick from Onsted, Michigan, led from flag to flag in a caution free Sport Compact B Main while Cody Stetten, Paul Miller, Matt Brazeau and Devin Goodman had a four car battle for second in which Stetten came out on top of. Miller, Brazeau and Goodman rounded out the rest of the top five finishers. 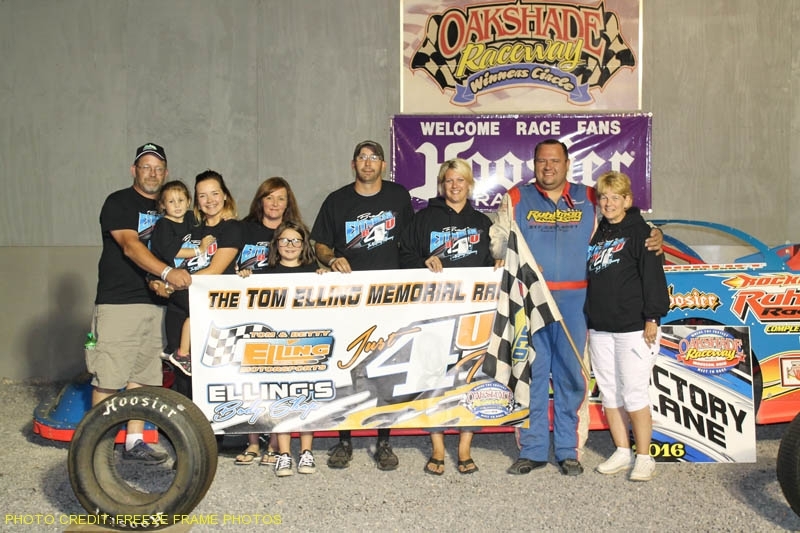 In addition to the regular feature events, the Tom Elling Memorial Australian Pursuit races for the top ten in points in the UMP Late Models, UMP Sportsman and Bombers were run. In the UMP Late Models, Brad Wade spun on lap five and collected several other cars leaving only three cars left in competition. 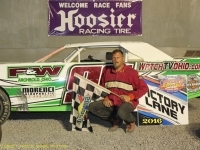 Brian Ruhlman had started at the tail and made it through the Brad Wade incident. 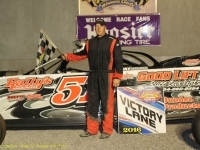 He then got by Dusty Moore and Drew Smith to win before the 10-lap distance was reached. 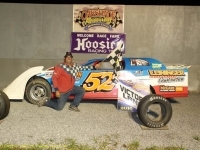 Mike Jessen won the UMP Sportsman race with Chris Sands coming out on top in the Bombers. 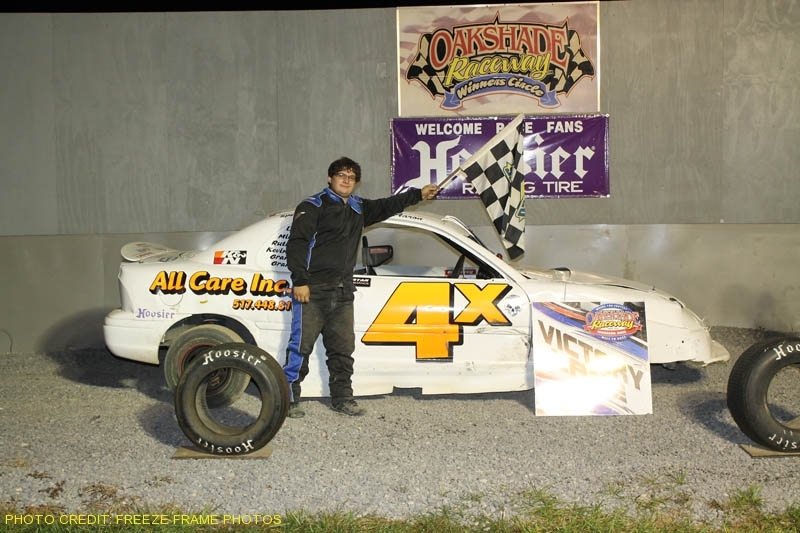 In addition to the two 25-lap UMP Late Model features scheduled for August 13, at Oakshade Raceway, there will also be double features for the Sport Compact class to make up racing action cut short by rain on July 30. 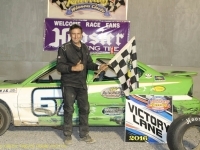 The UMP Sportsman and Bombers will also be in action with gates opening at 4pm and racing at 7pm.